If you're a time-poor business owner who needs more time to work on your business rather than in your business, chances are you’re going to need more than just a cloud accounting software. Shoebooks automates important daily operations tasks such as sending quotes and invoices to clients, follow up payment reminders for overdue invoices and divisional reporting, job costing and lot more. 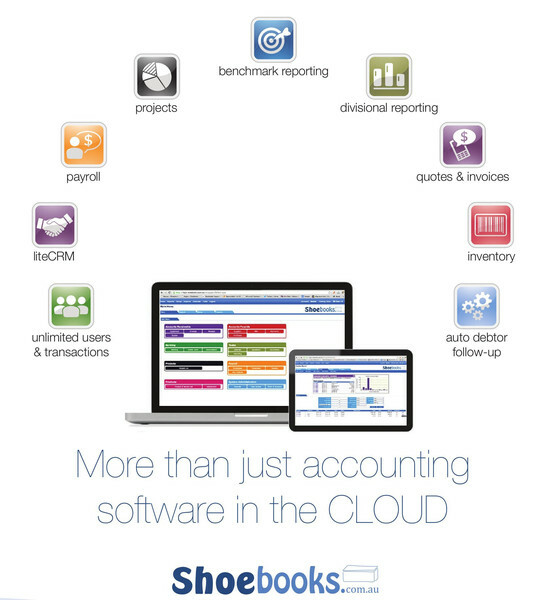 Shoebooks has partnered with SavvySME to bring you a special introductory package offer for this comprehensive online cloud accounting software solution. Bonus Offer – Free conversion of your data from your existing accounting software such as XERO, MYOB or Quickbook (normally $395). Managing your business from anywhere at anytime. Do not be tied to the office any longer. REal time access for your bookkeeper and accountant. Free online support via email, live chat, how to guides and our support platform. Simply take up this Offer and we will send you a voucher code to redeem this great Offer from Shoebooks. You can then go to http://www.shoebooks.com.au/pricing and sign up using the voucher code. Once you sign up, you will be SETUP and running within minutes. Shoebooks will then contact you to discuss your migration of accounting data needs (if you have any). Access to all support resources is provided instantly, so you can be invoicing in no time. Shoebooks will be available on standby to support and get you started if you need the help. Shoebooks is owned and located in Melbourne, Australia and was established in 2002 to provide flexible, efficient and affordable online cloud accounting software and bookkeeping solutions to small and medium business. Their solution is designed and developed for the Australian market and is securely hosted in Australia; making it an ideal accounting solution for your business. Shoebooks is used by a wide range of businesses in diverse sectors such as retail, services, hospitality, construction, IT, communications & medical services. “Without doubt one of the most flexible accounting systems that I have ever used. Shoebooks has provided our business with a custom solution that has resulted in real savings; both in time and money. We run two independent invoicing systems for our Service & Construction businesses. Using Shoebooks, we are able to import our invoices real time from both of these systems; this functionality in itself is a fantastic feature that saves us days of work. Our payroll function is complex due to the multiple awards that we operate under. The payroll module in Shoebooks takes the pain out of this task and ensures that our staff are paid in a timely manner each week.